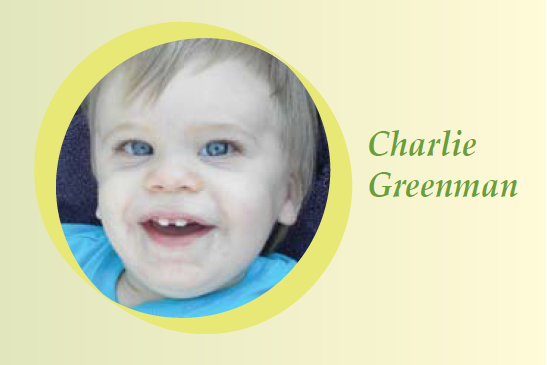 As you know, Kenna's Kids has selected Charlie to be one of their three beneficiaries for 2012. The Kenna Cup golf tournament is their main fundraising event and if you are interested in playing, please register soon at kennaskids.org. You can also contact Jeremy Pigott at 972-342-1758 or at JBP@kennaskids.org. 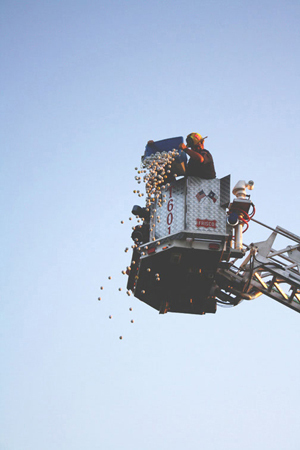 However, if you do not live in the Dallas / Fort Worth area, as most of you don't, please consider participating in the Kenna Cup Ball Drop. The ball drop will take place at the Frisco Lakes short-game / chipping green immediately following the Saturday afternoon tournament. You can purchase your balls online by clicking HERE. Each ball is ten dollars. YOU DO NOT HAVE TO BE PRESENT TO WIN. And here is the BEST part about participating in the Kenna Cup Ball Drop and tournament. You're not just helping the Greenman Family with Charlie's overwhelming medical expenses - you're also helping Grayson Hughes and Makenna Johnson. Grayson and Makenna have also been chosen as beneficiaries for 2012 and we'd like to introduce them to you. In September on 2011, Grayson Hughes was diagnosed with Acute Lympholblastic Leukemia. 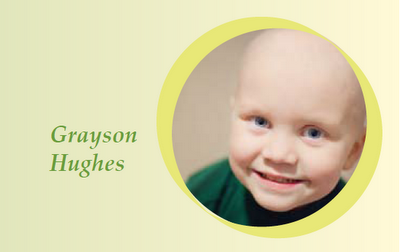 Before his diagnosis, Grayson was an energetic, fun-loving, football playing, break-dancing kindergartener. His new norm consists of several visits a week to the cancer clinic to endure high dose chemotherapy and other risky procedures. He has had several hospital stays, two surgeries, countless spinal taps and bone marrow aspirations and has been so courageous throughout it all. He still has a long road ahead, but will continue to be the brave little fighter that he is! Makenna was born September 21, 2004. Throughout her short life, she has been through more than most people could ever imagine. She is seven right now and does not walk, talk or feed herself. She has been diagnosed with several things. The primary diagnosis for a long time was Cerebral Folate Deficiency (CFD). This causes seizures and developmental delay. She also has areas of Cortical Dysplasia in her brain. In other words, Makenna has areas of "dead brain". Her intractable epilepsy (seizures unable to be controlled by medicine) forced her doctors to take desperate measures to save her life. To date, she has had four craniotomies and now almost all of the right side of her brain is gone. Each new day with Makenna is a miracle. 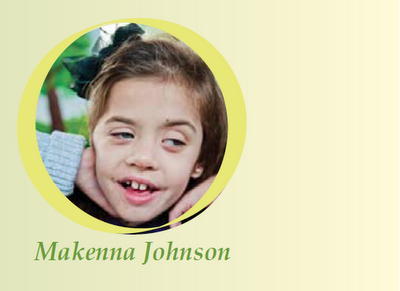 To read more about Makenna, please visit www.caringbridge.org/visit/makennajohnson. This is going to be an incredible event. Please sign up to play the Kenna Cup Golf Tournament or participate in the Kenna Cup Ball Drop. Your support will ensure a successful fundraiser and more importantly, it will help Charlie, Grayson and Makenna to meet their challenges with a greater sense of strength, grace and community support. Thank you so much!